1895 - German physicist Wilhelm Conrad Röntgen studies electricity in a vacuum and found electricity to produce rays that he noted as X-rays. 1896 - Antoine Henri Becquerel discovers natural radioactivity after a nearby photographic plate is blackened by uranium ore.
1898 - Pierre and Marie Curie discover radium and polonium, elements that release the majority of uranium ore radioactivity. 1899 - Ernest Rutherford differentiates between two types of rays from radium: rays that were stopped by a thin (20 micron) aluminum foil and those that penetrated the foil. These rays were named alpha rays and beta rays respectively. 1900 - Max Planck publishes "On the Law of Distribution of Energy in the Normal Spectrum." 1902 - Ernest Rutherford and Frederick Soddy publically release their theory of radioactive decay. The theory states that atoms of a radioactive element emit charged particles (alpha or beta) that charge surrounding particles of a different element. 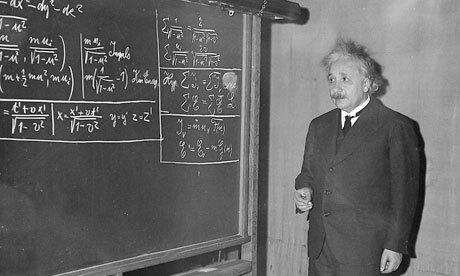 1905 - Albert Einstein announces his theory of relativity that introduces the formula E = mc2, or, that ttoal energy equals mass multiplied by the speed of light squared showing that mass can be completely converted into energy. 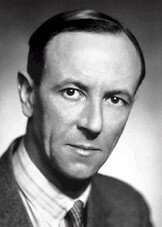 1932 - James Chadwick combines metal beryllium with alpha particles and discovers the neutron, a neutrally charged particle. Alpha particles consist of two neutrons and two protons, they are positively charged, and are exhausted by certain radioactive materials. He also studies deuterium, an isotope of hydrogen used in many modern nuclear reactors. 1932 - John Cockcroft and Ernest Walton split the atom. 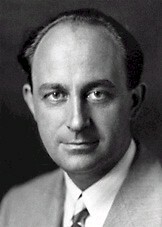 1934 - Enrico Fermi irradiates uranium with neutrons. He hypothesizes that the first transuranic element has been created, but unbeknownst to him, he had just initiated the world’s first nuclear fission. 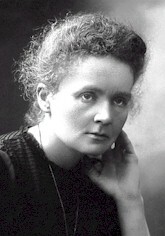 1934 - Frederic and Irene Joliot-Curie discover artificial radioactivity, a radioactivity type produced in transmutation experiments. 1934 - Leo Szilard files for patent amendments for "the liberation of nuclear energy for power production and other purposes through nuclear ’transmutation.’" He then procedes with one of the first "chain reaction” studies. 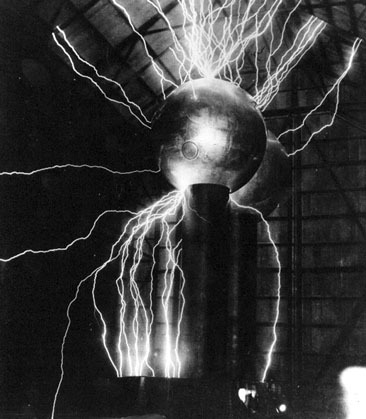 1937 - The Westinghouse Corporation constructs the 5-million-volt Van de Graaff generator, invented by Robert Van de Graaff. 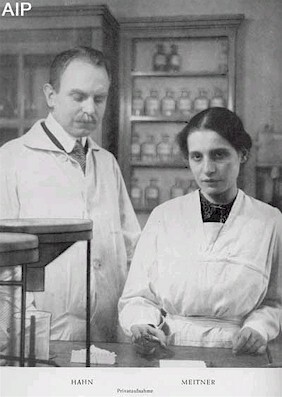 1938 - Lisa Meitner and Otto Hahn conduct experiments only to conclude that heavy elements capture neutrons and form unstable products that undertake fission. This fission type ejects more neutrons that then continue the fission chain reaction. 1938 - Otto Hahn and Fritz Strassmann split the uranium atom by attacking it with neutrons; this results in the formation of elements barium and krypton. 1942 - Enrico Fermi creates the world’s first human-induced continuous nuclear fission reaction at the University of Chicago. Leo Szilard and Fermi prescribe the method used to arrange graphite and uranium, thus making the reaction possible. After a strong foundation was established in the field of nuclear science that included the experiments conducted by Fermi, Meitner, and Szilard, the government gained a particular interest in the potential power these technologies offered. A weapon of mass destruction, as it would later be called, was on its verge of development in 1941 as President Roosevelt started the top secret Manhattan Project, a program designed to develop nuclear technology capable of exercising superior power over enemies of the Allied troops in WWII. 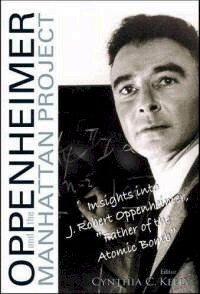 Robert Oppenheimer, the leading scientist on the Manhattan Project, discovered the potential of the nuclear fission as a means of military action when he heard of the fission discovery made by Bohr. Immediately after Oppenheimer’s discovery 30 scientists met up in 1943 at Los Alamos, New Mexico to begin research and experimenting. The experiments conducted between 1943 and 1945 resulted in breakthroughs such as plutonium production through use of Enrico Fermi’s nuclear reactors in Oak Ridge, Tennessee and the Trinity test, the world’s first atomic bomb detonation. 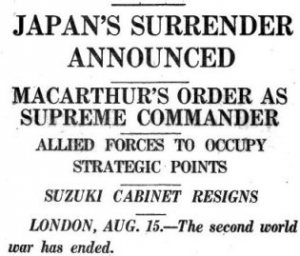 These breakthroughs excited military leaders as they gained leverage for the duration of the war because it translated to hopeful victory over the Axis. Although this hope met some, fear struck others, mainly such leading scientists as Albert Einstein, Leo Szilard, and Robert Oppenheimer. They foresaw how destructive this technology could be, especially on a global, competitive scale. A portion of these fearful scientists either aborted the project or wrote a series of letters in regard to their fears to such high-standing officials as presidents Roosevelt and Truman as well as many military commanders. The Manhattan Project gave us a deeper understanding of the physical makeup of matter and made leaps and bounds towards helpful technologies such as nuclear reactors for generating power and medical methods for radiation treatment. However, the most significant impact of the project was the atomic bombing of two Japanese cities, Hiroshima and Nagasaki, August 6 and August 9, 1945. This bombing initialized an overwhelming fear of the nuclear science field as a whole, whether benevolent or violent, which taught the public to avoid anything associated with nuclear physics. During the 50 years following the WWII bombings, the feelings associated with all things nuclear have fluctuated to many degrees of opposition and advocation. The shifts of emotions have been affected by environmental disasters, arms races, and now the scarcity of resources able to feed our ever increasing hunger for instant power. 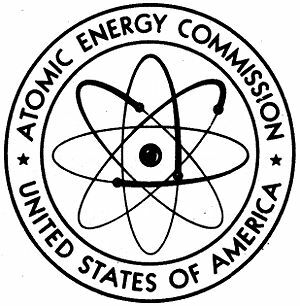 Immediately after the war the American government established the Atomic Energy Commission to replace the Manhattan Project as a way to supervise the matters dealing with nuclear technologies. Nuclear scientists went from making bombs for the government to producing radioisotopes for peacetime civilian use at the Brainard Cancer Hospital in St. Louis and mobile reactors for powering Admiral Rickover’s US Navy aircraft carriers (USS Nautilus, commissioned in 1954 as the world's first nuclear-powered vessel) and submarine vessels (USS Triton, the first submarine to circumnavigate the globe fully submerged). Further progression was made as nuclear-powered towns became independent of conventional coal power in order to become more environmentally and economically friendly. The first of these towns was Arco, Idaho (population 1,200) in 1955, powered by the JBORAX-III, the first nuclear power plant in the world to power an entire town. Another community was Pittsburgh, Pennsylvania, which had the first civilian-operated power plant in America, the Shippingport power plant, operated by Bettis Atomic Power Laboratory, December 2nd, 1957. One event that nearly halted the production of nuclear science was the widely publicized accident at Three Mile Island (TMI) in 1979. Here at this power plant in Pennsylvania, a mechanical error caused a great accumulation of heat which later induced a catastrophic explosion. 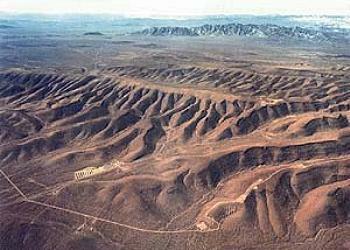 Another cause of hindrance was the increasing concern surrounding the effects of radioactive waste. 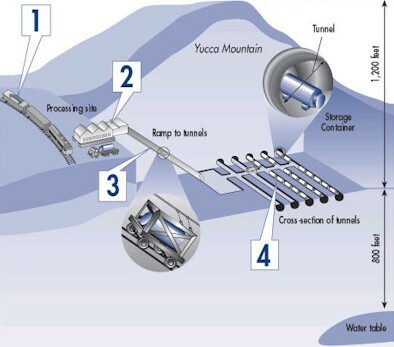 A waste issue became so large that the government started to take the initiative towards regulated methods of storing waste, one of which relies on the land reserve known as Yucca Mountain. As of 2009, this storage facility is no longer receiving federal endorsement or funding and has been shut down. 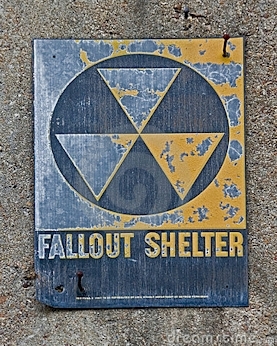 From the 1970s until about 2000, America has feared nuclear technology. However, scientists are now revisiting the field to find safe and efficient methods by which to replace our conventional depleting, fossil fuel reserves with more reliable resources as a way to continue our convenient way of living with power. Today's 21st-century scientists are becoming inclined to accept nuclear power as the next generation's power supply. 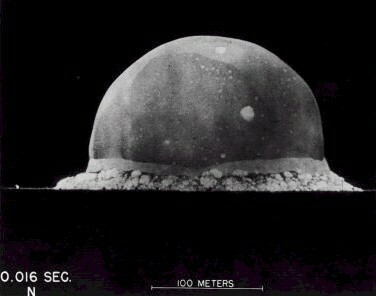 When the bomb was dropped, the world was speechless; no one had yet witnessed a demonstration of such magnificent power. Many countries feared the worst and could only hope that those possessing such power would be responsible and wise. Others took an earnest step towards grasping the positive fruits of nuclear power and medicine while their opponents, on the other hand, started preparing a defense. On June 27, 1954, the first nuclear power plant to generate commercially available electricity in the world was established at Obninsk, USSR; this was a big step towards using power for good instead of evil. 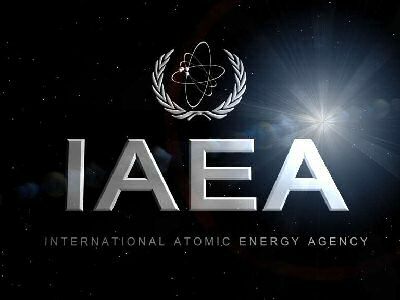 A year later, the United Nations held the "First Geneva Conference" where a vast gathering of the world's leading scientists and engineers discussed the future of nuclear technology and the impacts it would make; today’s largest nuclear governing body, the International Atomic Energy Agency (IAEA), was established that same year. 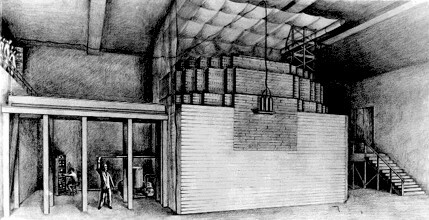 To increase resourcefulness and nuclear safety, plans were made globally to retrieve nuclear material from out-dated weapons to recycle as nuclear fuel. This 1970’s nuclear nonproliferation treaty received commitment from many nations in an effort to get rid of nuclear weapons. For nearly 30 years the nuclear field progressed constantly until an abrupt event changed the world’s perception of, not just weapons, but nuclear power as well. 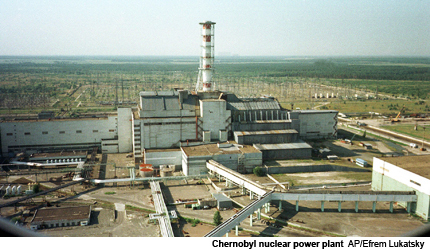 This horrifying event happened at the Chernobyl power plant in Russia on April 25, 1986. It was here that engineers made the horrible mistake of shutting down the reactor's safety features, resulting in an explosion with power equivalent to 100 times the power of the bombs that were dropped on Hiroshima and Nagasaki. Thirty-one people died immediately from this human error, but thousands were later put to the death from the radiation that lingered on. Furthermore, the Cold War was ongoing between the USA and the USSR from 1947 until 1991. During this time both nations held an enormous amount of power in nuclear weapon heads that had the potential to rid the Earth of a vast majority of the planet’s inhabitants. Political tensions were high between the two countries, and whenever feelings flared up, the citizens would take immediate precautions towards protecting themselves from such events as those endured by Hiroshima, Nagasaki, and Chernobyl. This nuclear arms race led not only one nation to fear nuclear technology, but the entire world. Some countries experienced this apprehension and avoided nuclear science through any means possible, while others, like France, embraced it. Today France owns 56 nuclear power plants that work together to provide the nation’s citizens with 76% of their energy. In France and other countries, including Sweden (50% of their energy), Belgium’s 54% (of their energy), Slovakia’s (50% of their energy), and Lithuania (64% of their energy), nuclear energy is welcomed and the scientists and engineers working there are honored and highly respected for their superb services to the people's needs. In nations such as these, social views have encouraged nuclear science to flourish instead of allowing fear to stifle their developments. During the post-war era much of the developed world has progressed in their nuclear knowledge and increased their nation’s dependency on nuclear technologies. Although laws governing this science have become stricter and nations have at times become hostile, the field of nuclear science has progressed indefinitely.